All different, all the same! 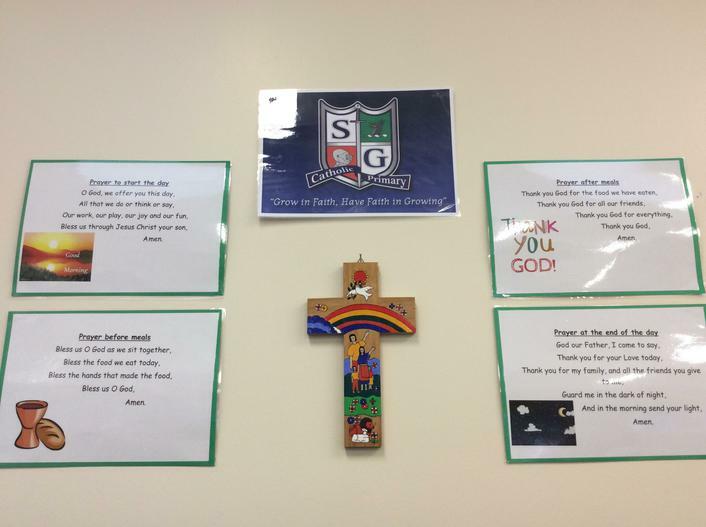 We have made a board to show how God made us all different, but that he loves us all the same. 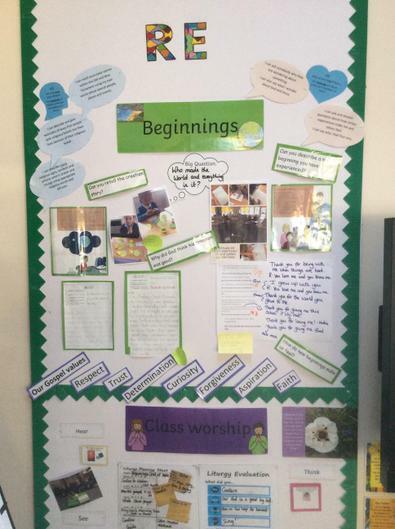 We have also created a wow work display, to show off our amazing work and talents that God has given us. Welcome to our page! Below we will be updating you with photos, examples of work and important information. You can find information and pictures from every subject! Please have a scroll to see what we are up to! Our school council reps for this academic year! Well done Dylan and Evie! Times table rock stars Your children will have their personal log in stuck in their diary. There is also a parent letter to support how to use the website. KS1 sats information This website explains the ks1 sats tests and how they work. On the government website you can also find sample and practice materials to support your child at home. Pupil log in for My Book Blog If you follow this link children will be able to blog about their home reading book. Our target tree! 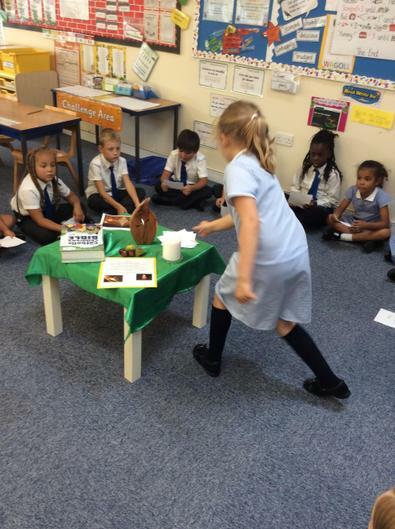 Each child has set themselves a target for this term to show that they are "turning over a new leaf" on their journey into year 2. In school we expect that all children read at least 5 times per week at home. If children do then they will receive 5 house-points. Please listen to your children read and talk to them about their reading; there is a link above with some good question ideas! We are really encouraging the children to read for pleasure and read a wide range of books. Mrs Torrance has created a reading wall, and each time a child reads 5 times per week their name will move. Along the way they have the chance to earn double reward points, and if they reach they end they get a special prize! Homework will go out on a Monday and must be returned by the Friday. There will be a piece of Maths and English/topic work. To teach children reading and writing we follow the RWI scheme. This scheme has daily lessons that teach children phonics, reading comprehension and writing skills all based on the book they are reading. We also teach separate Talk for Writing lessons which are in 3 week blocks: imitation, innovation and independent application. During this time children learn a text off by heart and then adapt the text and eventually create their own. This term we are looking at a finding tale and writing a recount. Keep looking here for our class map, as well as some of the children's writing! Greedy Fox- a warning tale! 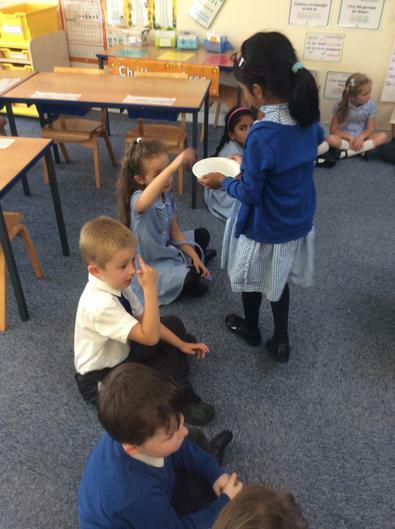 We follow the Big Maths programme to teach maths. We do daily CLIC (Counting, Learn it's, It's nothing new, Calculation) sessions where the children learning basic number skills. We are also looking a lot at the moment at mastery in Maths, where children deepen their knowledge and challenge themselves. If you would like to find out more about Big Maths you can take a look at the curriculum page on our website. We have also recently began using times table rock stars. Children have their own log in for school and home where they can play. Please find the website link below, and if there are any questions please ask! In RE we follow the "Come and See" programme. This term's topics include: Books, Thanksgiving and Opportunities. 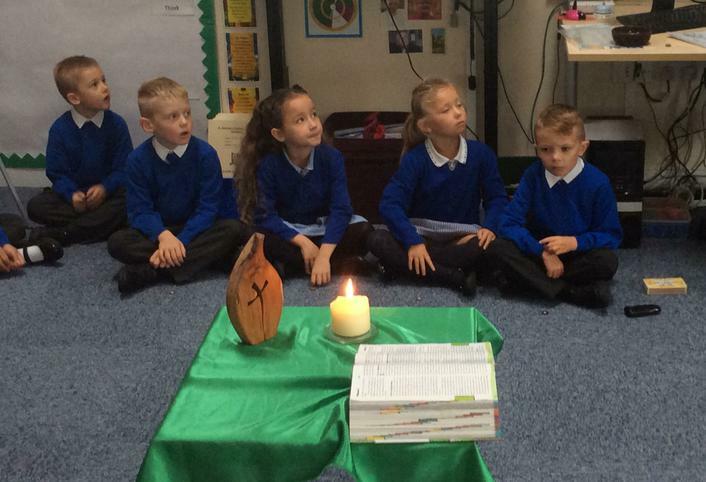 We also give the children opportunities throughout the year to study other religions such as Judaism. 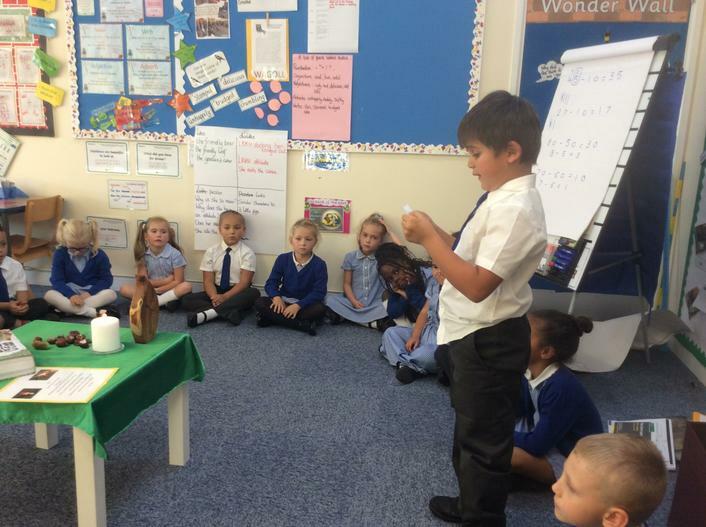 Every week we carry out liturgies in class. 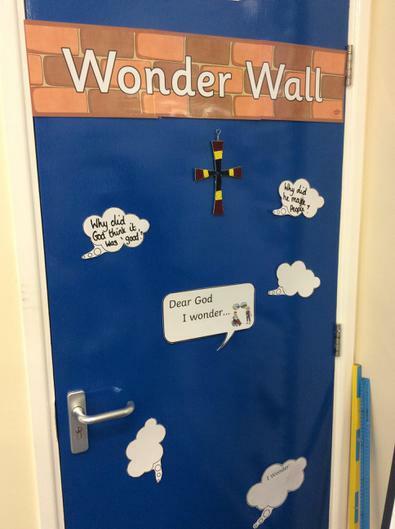 As part of our topic we also have "wonder" moments. 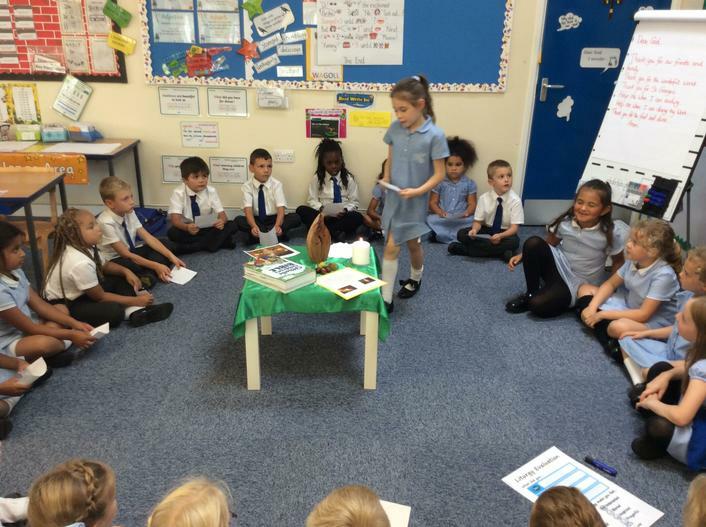 This is where we allow children to think of any questions they may have and we try to find the answers to them in our topic. In school we teach Core Learning Skills. This subject looks at teaching key skills such as independence, speaking and listening and working with others. It is a very fun and practical subject and we use our "DRAGON values" in all our learning around school. We complete weekly learning logs and monthly class forums. 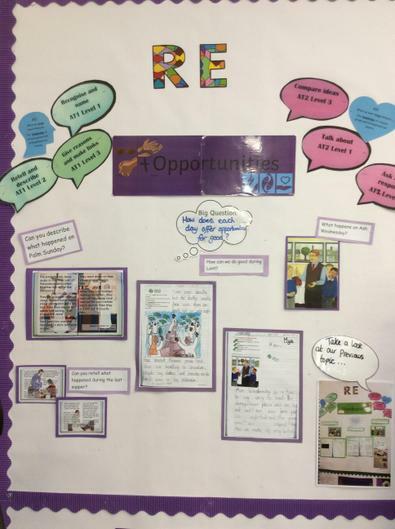 Please see our display of our values below. This term we are covering the topics: the Great Fire of London in Creative curriculum and in Science we are looking at plants. Keep your eyes peeled for some of our amazing work!